Race Face has been making some of the best mountain biking components for many years now so it's no surprise that they continue to produce some of the best components for XC, trail, all-mountain, enduro, and DH. 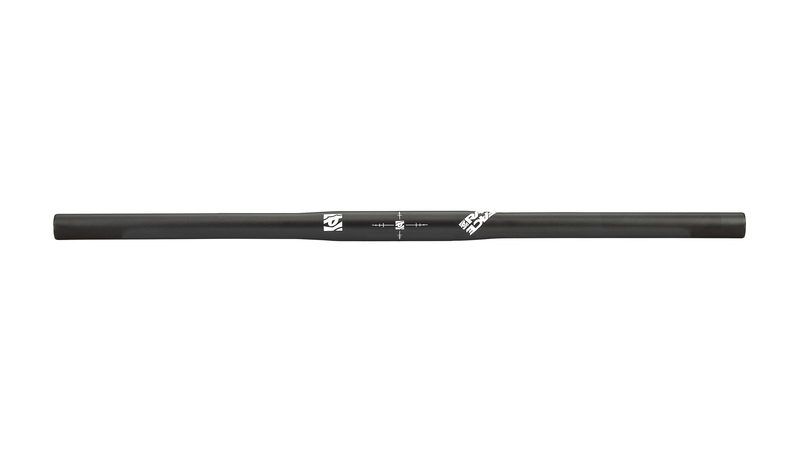 The Race Face Ride XC Flat Handlebar is designed for the XC racer who wants narrow bars that are lightweight. They are 580mm wide and have a 25.4mm clamp. They are made from 6061 aluminum that makes them both lightweight and durable. The Ride XC is shot peened which increases the fatigue life of the bars. With an 8° backsweep, these might be your new favorite bars. I got tired of near misses and ocassional contact with trees lining my singletrack. So I started shopping for shorter handlebars. These fit the bill. They are light, srong, and good looking. I went from risers to this flat shorter bar, and it has taken a little getting use to, but has greatly improved my riding. (if this bar is shorter than your current)in the technical stuff, you have to watch for torque steer a bit more because you don't have as much leverage on the wheel, but the wheel is also more responsive, and you get used to using more strenght to steer the wheel. Great product and change in handling. Also, hopefully no more indos from catching the bars on a tree. Used for an old school mountain bike build with new components - fully ridged 16". Has a slightly better back sweep than the old 3 or 5 degree it replaced. Light and strong. This would be great for a fixie commuter with the 25.4 clamp diameter. Nice upgrade from original supplied bar. This was an "old school" 25.4mm version for an old Trek MTB. What’s the bar end diameter? BEST ANSWER: For the handlebar that measures 1" O.D. at the stem, the ends of this bar measure 7/8" or 0.875". 22.2 mm outside diameter where the grips, brakes, and shifters mount.